The Chief Speaks About Adversary Propaganda – But Can He Really Do Anything About it? I’m attending www.cosac.net, an information security conference outside of Dublin where I'll be delivering a presentation on SCADA Lessons Learned and the IoT. 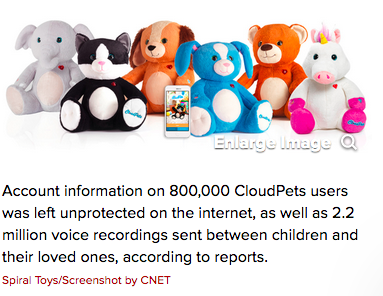 One of today’s speakers gave an outstanding presentation on Smart toys to include their potential vulnerabilities. The speaker addressed classes of threats with an emphasis on nation states and sexual predators as the most likely and most dangerous. I envisioned another scenario, one where a specific geographic area, say in the Middle East, is controlled by a jihadist terrorist group. 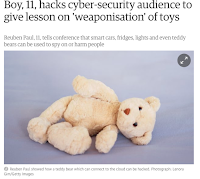 In this case it strikes me that it would be relatively easy to do some research and find toys that can be hacked to transmit jihadist propaganda. Alternatively, we were told that some toys can transmit conversations in their presence that are in turn monitored for ‘key words’ related to sexual abuse. Jihadists could use the same technical capabilities to ferret out those who are disloyal to them and/or engaged in acts typical of infidels. Reader comments invited and encouraged! 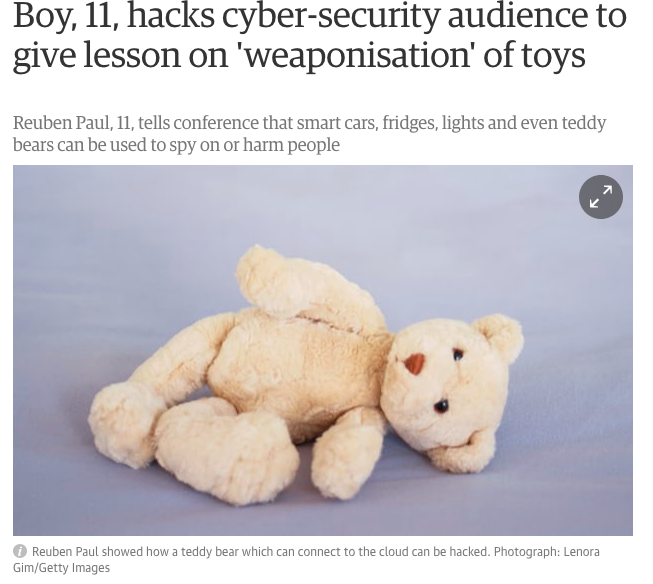 Smart Toys: New PSYOP Vector?